As a kid, it was easy to say. But as years go on and I became an adult myself with responsibilities, finances and time constraints, the guilt began. And since then, I have that gnawing reminder in the back of my mind. Adoption guilt. It’s tough knowing that I was given a better life because I was adopted. I know that my life would not have been as full of love and opportunity if I had been left behind in that Korean orphanage over 30 years ago. And I’ve always wanted to be able to Pay It Forward. But then I get married. The thought of having my own family, my own roots in America was calling me. What would MY kids look like? Would they have my hair, my eyes, my temperament? Instead of pouring money into my 2 beautiful and healthy half Asian children, I wonder what child may be waiting for me at an orphanage in Korea. But let’s face it, adoption doesn’t come cheap. In fact, about the price of a luxury car. Oh, and then there’s the lawyers, the paperwork, the background checks and endless amount of time waiting. But here I am, thinking about adopting again. I think about it everyday. Maybe if the timing was better. If we had a little bit more saved. If the kids were a little bit older. If. If. If. Am I making excuses? Am I just piling on extra guilt? What’s wrong with me? Why won’t I just pull the trigger? Am I ready to handle 3 kids? Would I be able to show this child just as much love? Would I be able to relate and share my experiences? Would they shy away and resent me? Is this feeling normal? So many questions. I don’t have answers. 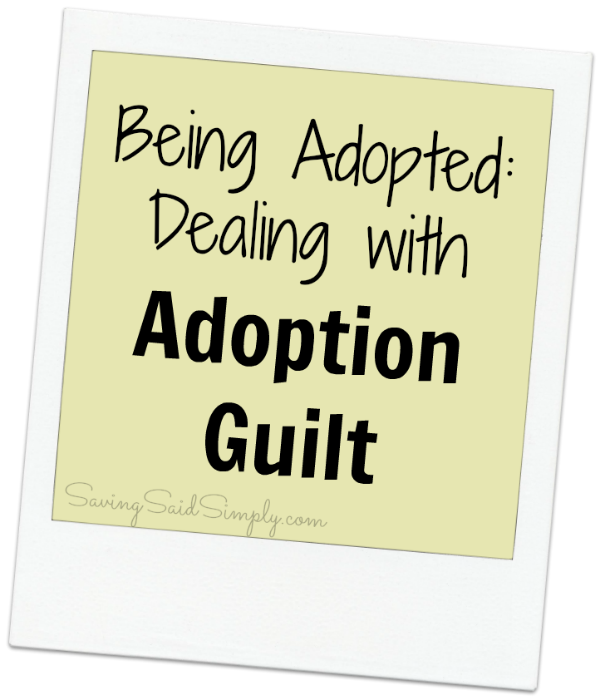 Only Adoption Guilt. Are you adopted? Do you desire to adopt too? I have three adopted children. Two from state foster care at ages one and two and one a private open adoption at about a year old. God has blessed my husband and I with three beautiful blessings. Has it always been easy…NO!!! Would I change it….No. My oldest are 12 and 13 now and the abuse and neglect they suffered before coming to live with us is beginning to come back to them and cause them problems. But with much prayers and therapy, we will make it and my kids will overcome the abuse that was dealt to them. Adoption is wonderful…without it I would not have a family. Korea has recently made adoption much more difficult. Many adopted Koreans have gone back and been veery vocal about their mistreatments as an adopted child. We wanted to adopt while we were stationed over there and the laws had a major change making adopting as a US citizen much, much harder and more expensive. So, let go of some of that guilt, there are babies in orphanages who aren’t loved, but can’t be adopted because of the country’s laws. That being said, the least expensive way to adopt is through foster care.